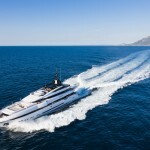 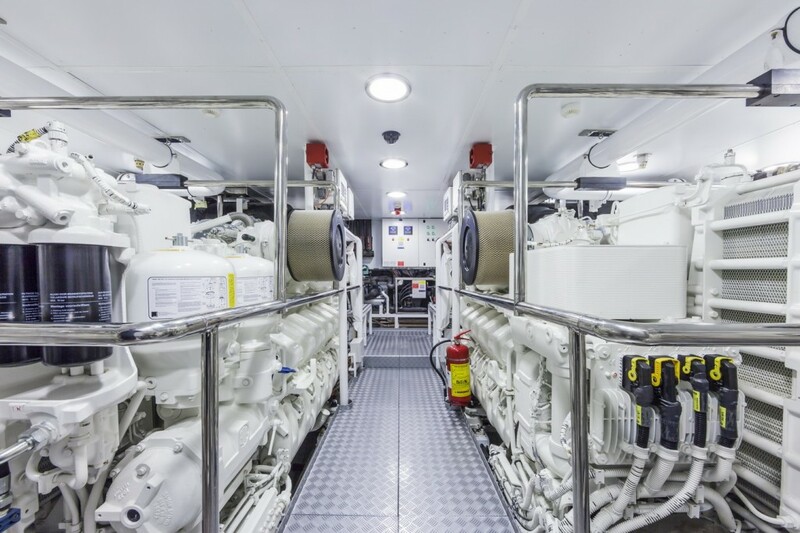 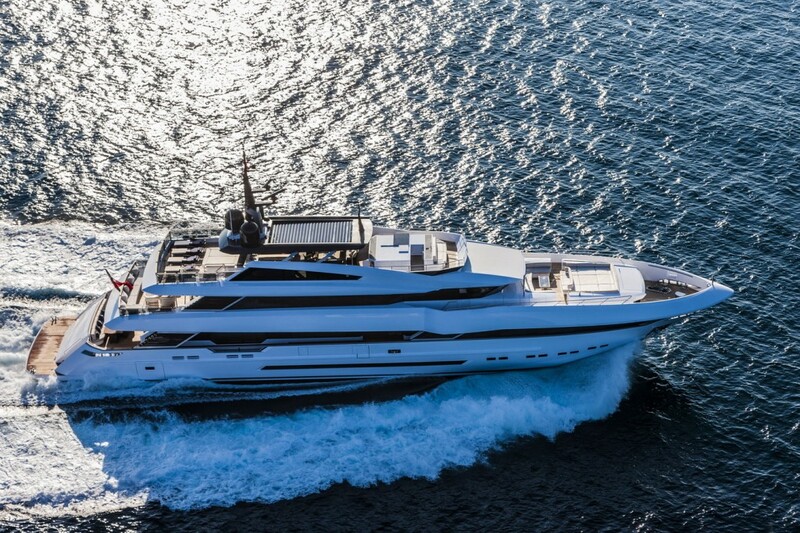 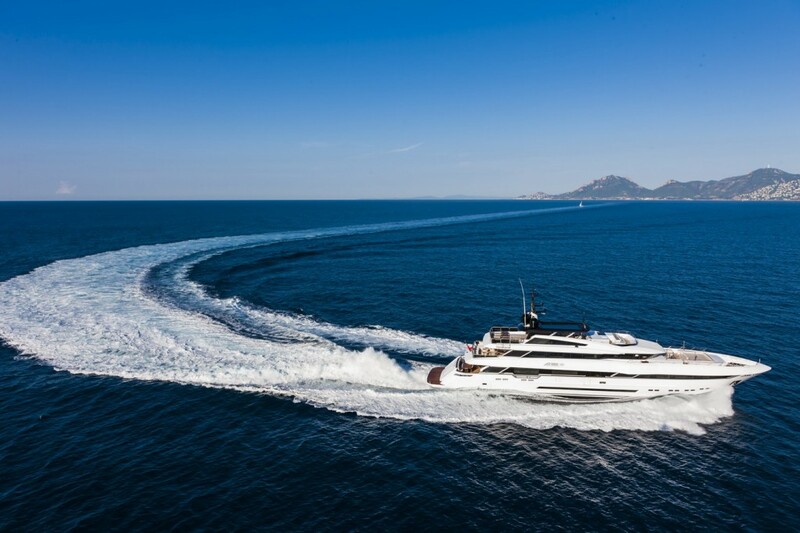 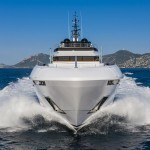 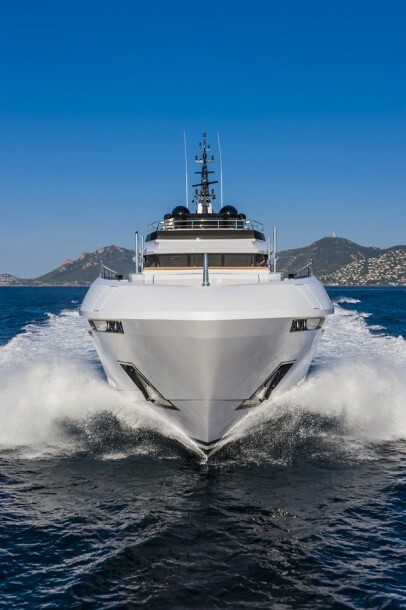 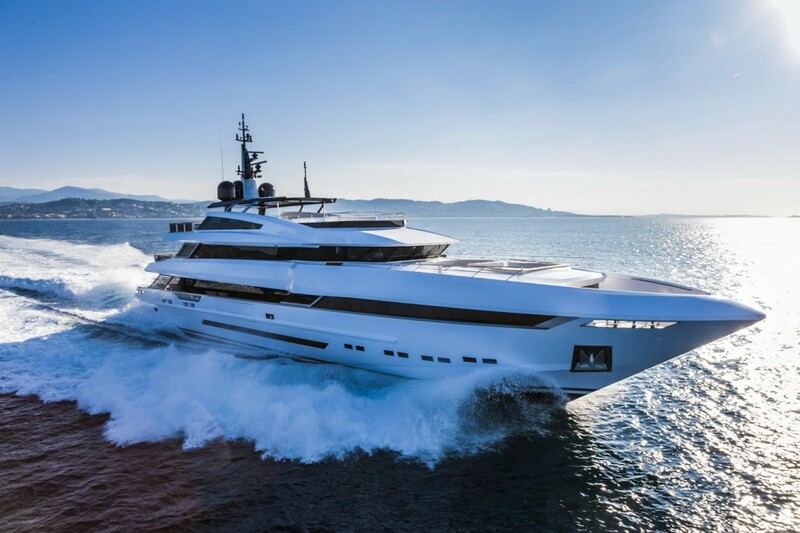 A light aluminium semi-planing hull and superstructure and twin MTU 12V4000 M93L engines with 2,580 kW power make this three-decker yacht a high-performance vessel with a speed of 23 knots. 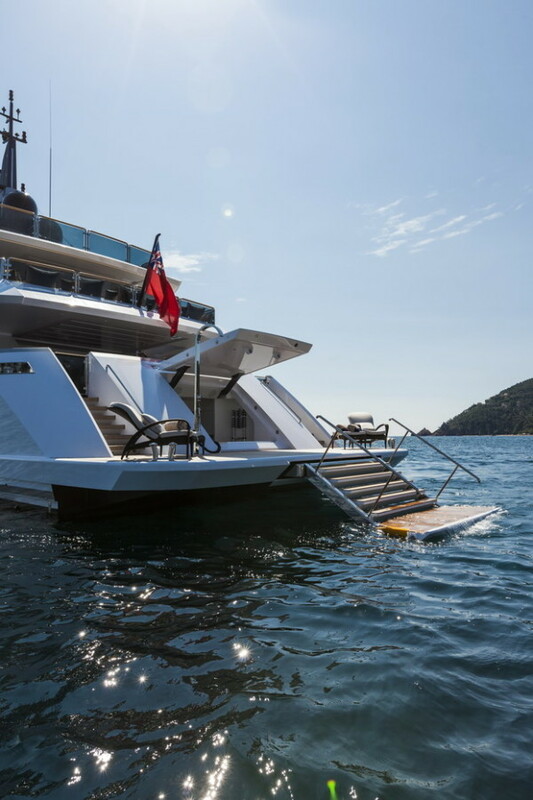 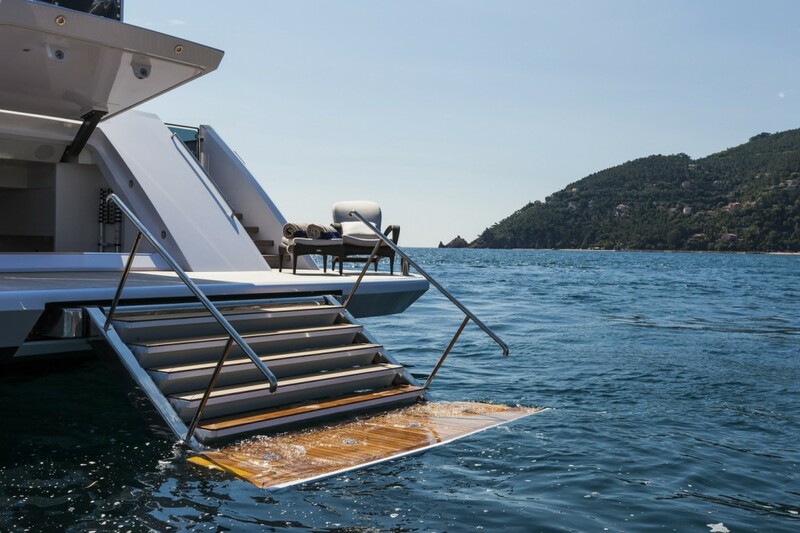 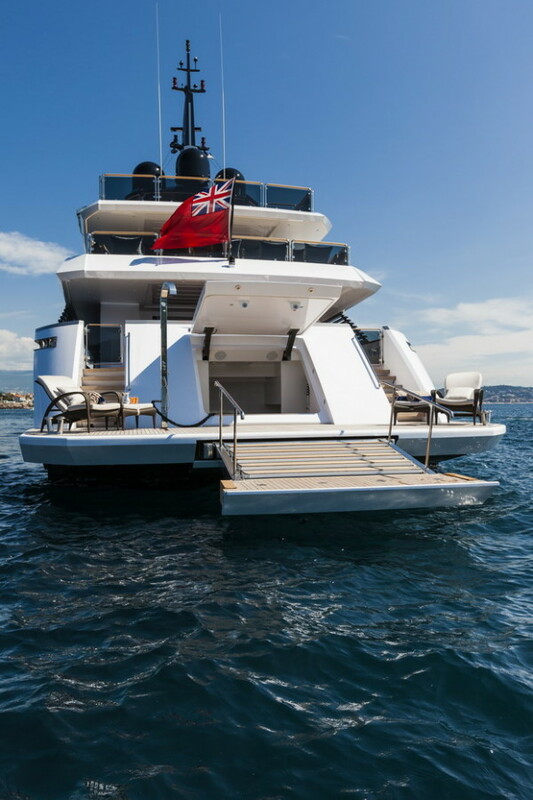 Its cruising performance is guaranteed by the Humphree Interceptors while the anti-rolling pair of stabilizers guarantee on-board comfort even when anchored in the harbour. 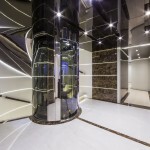 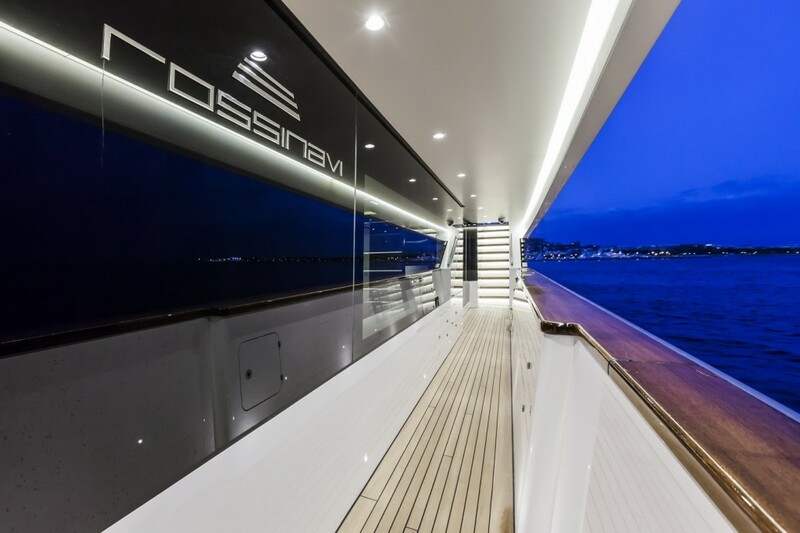 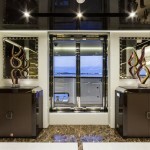 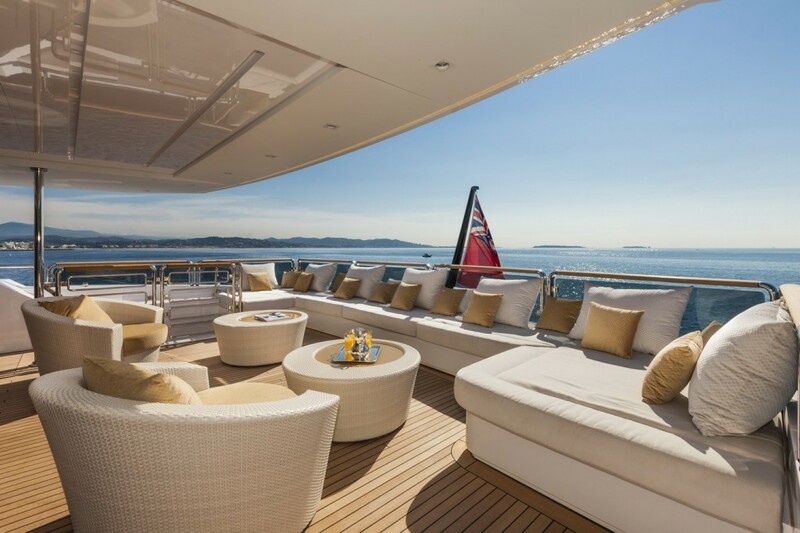 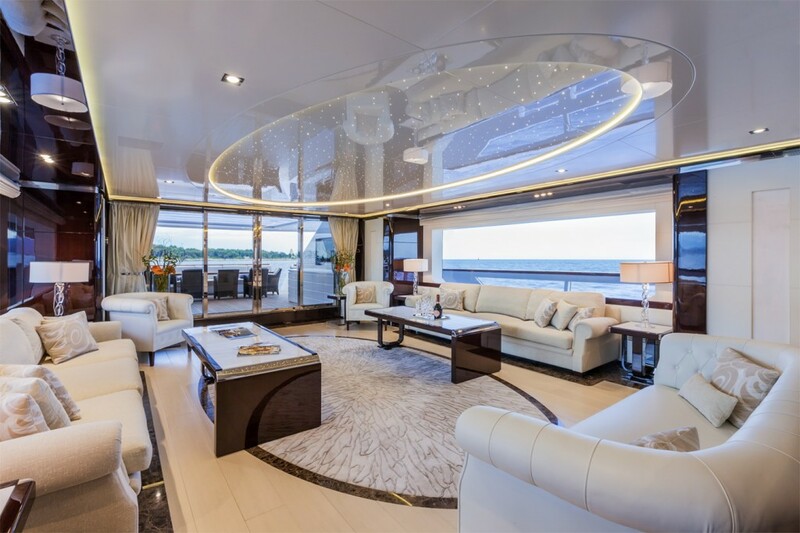 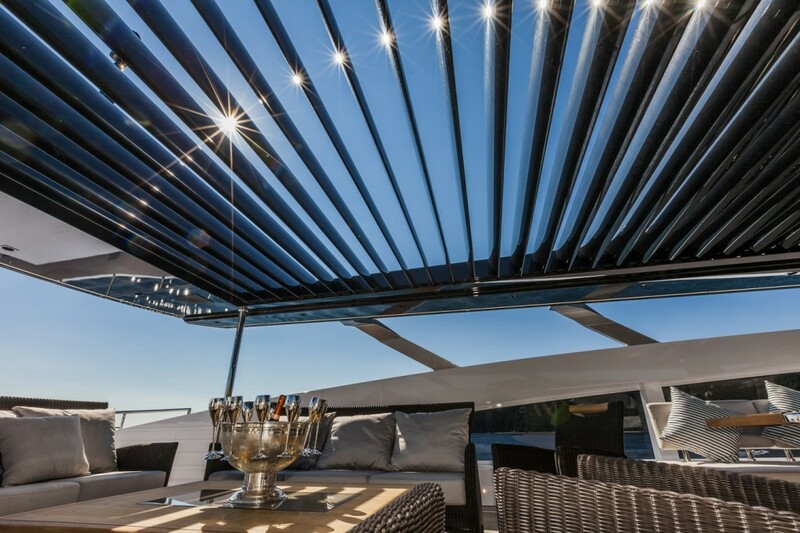 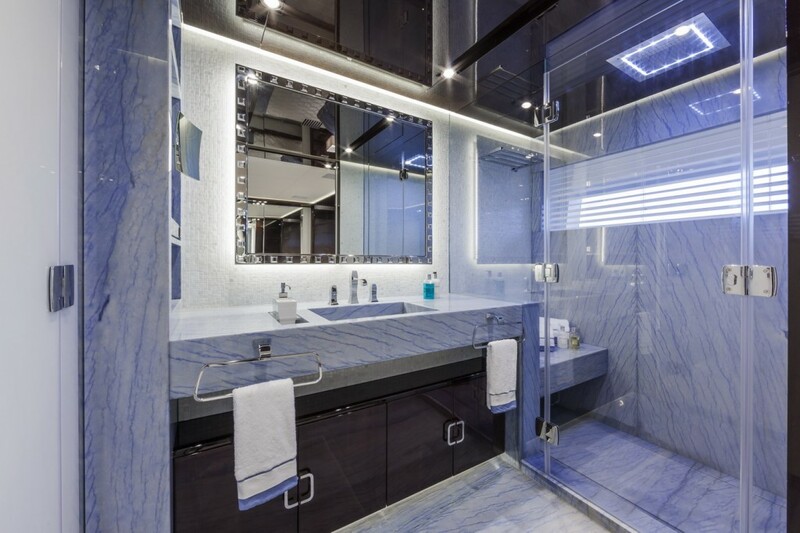 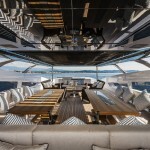 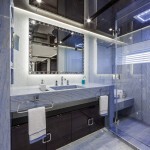 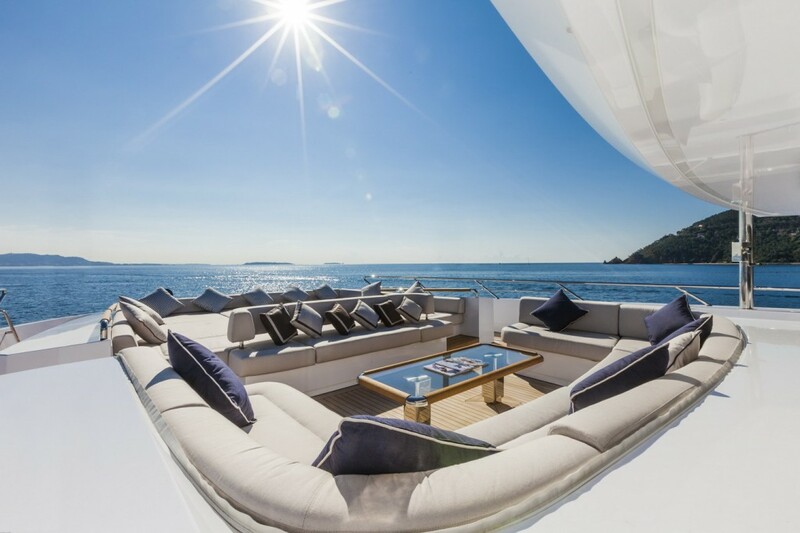 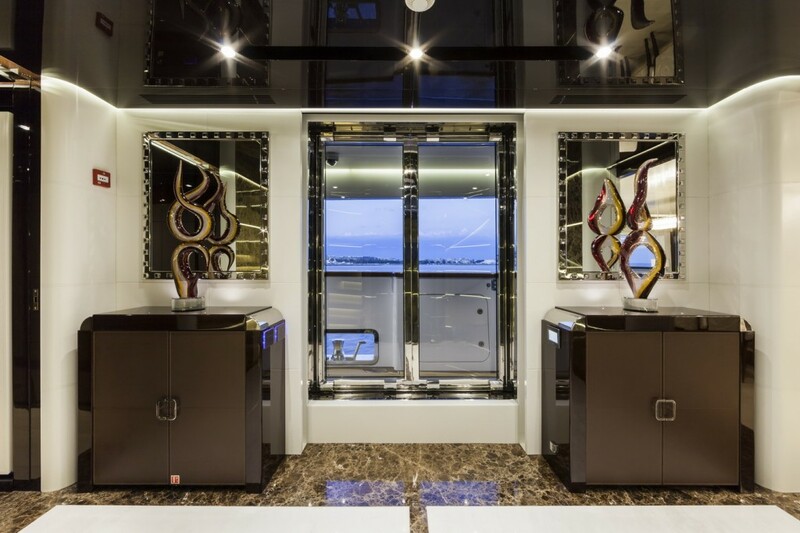 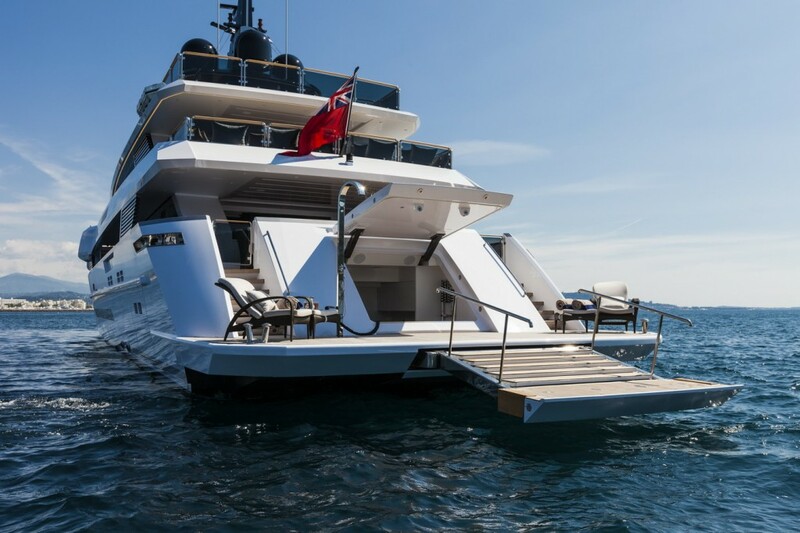 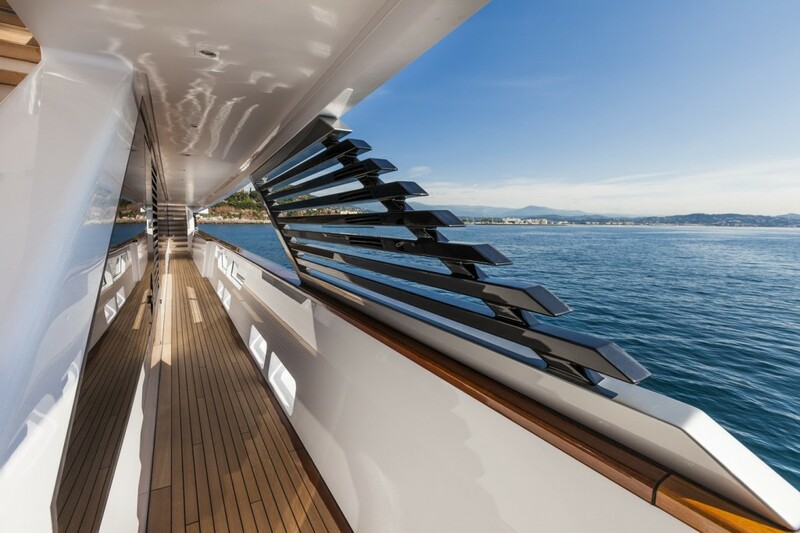 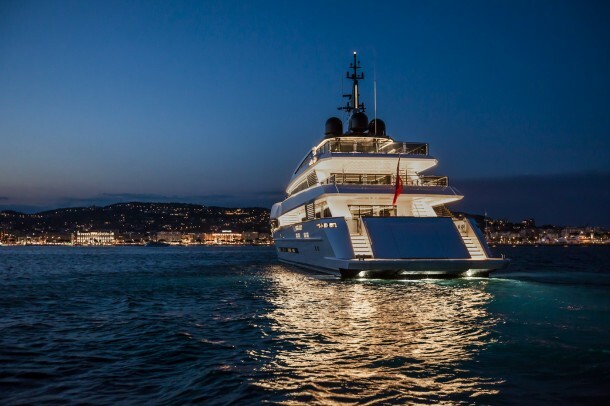 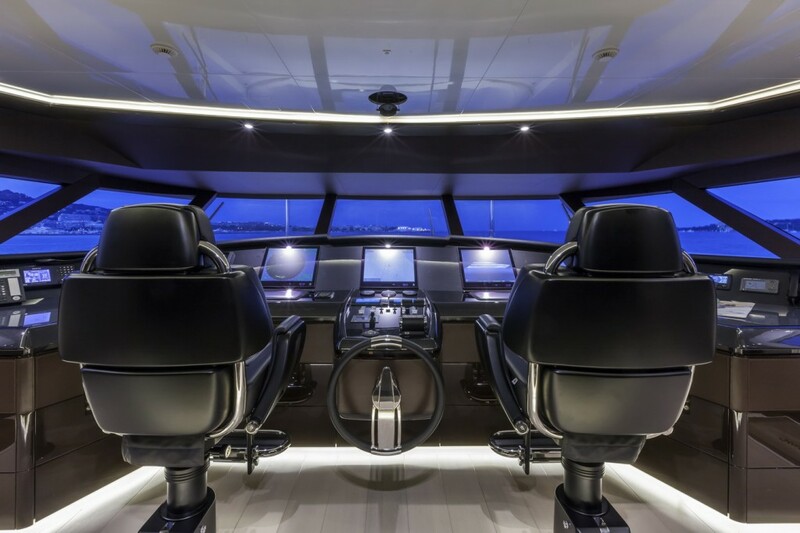 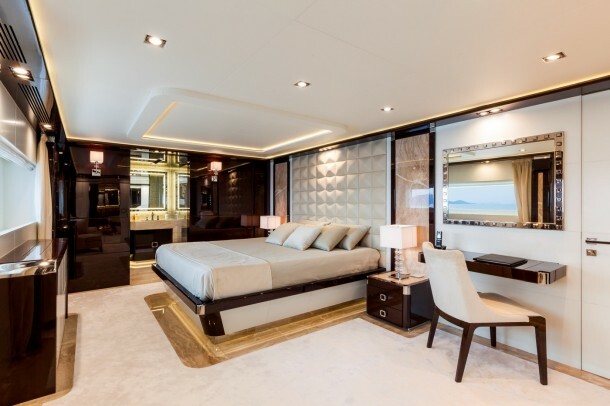 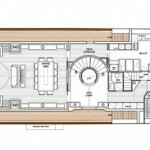 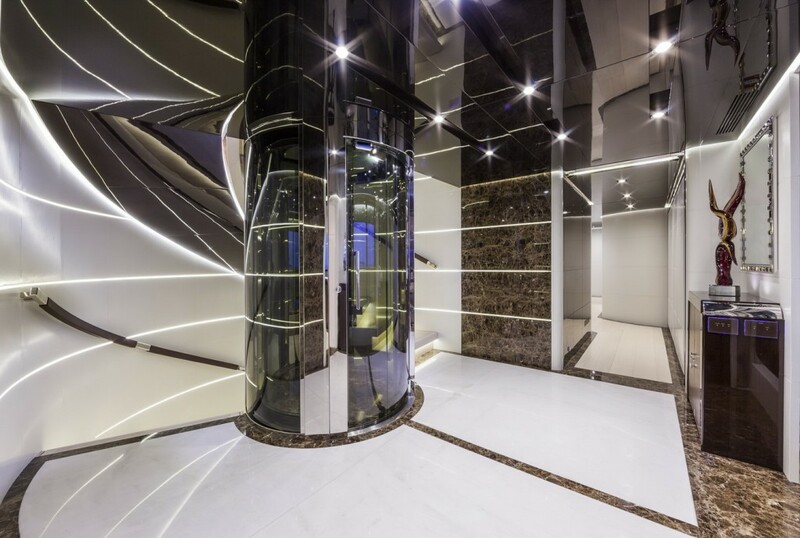 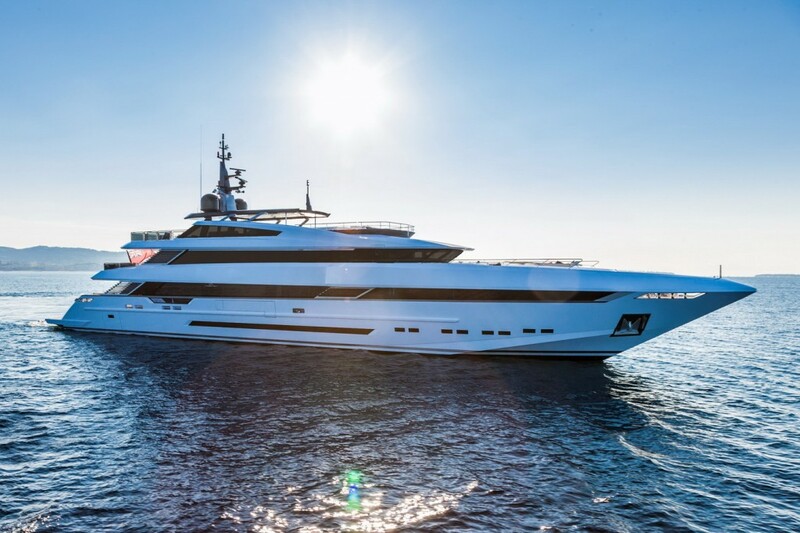 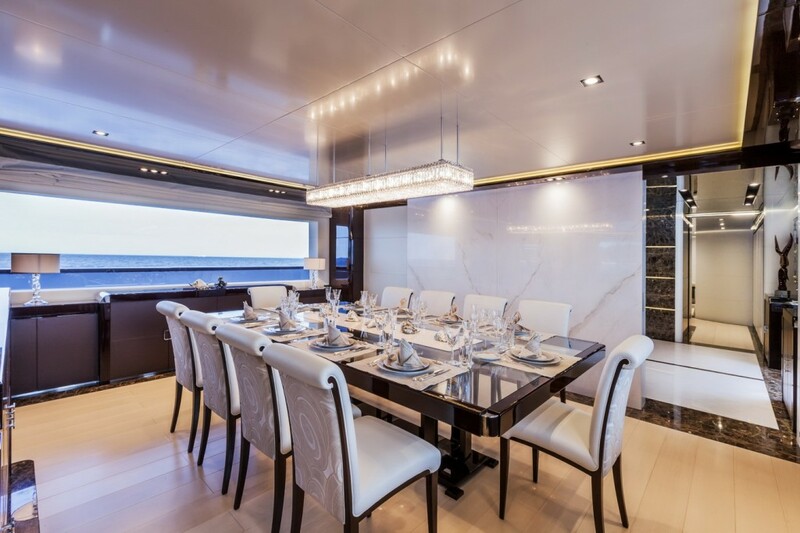 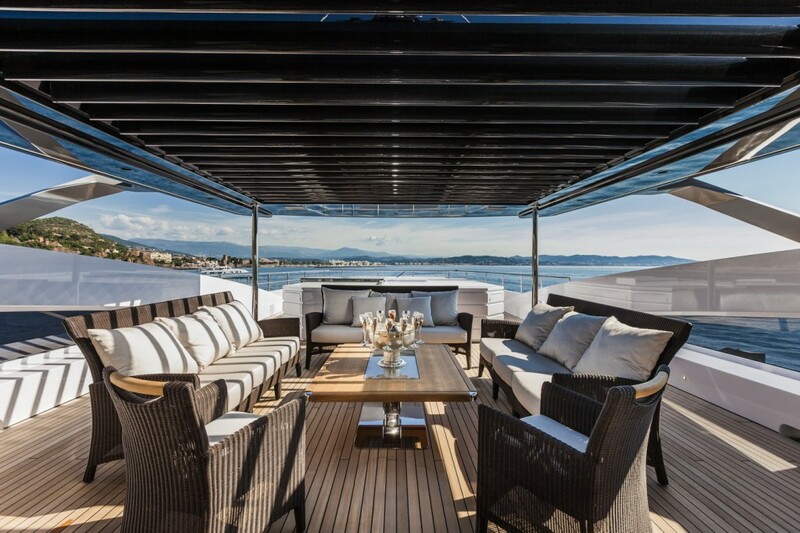 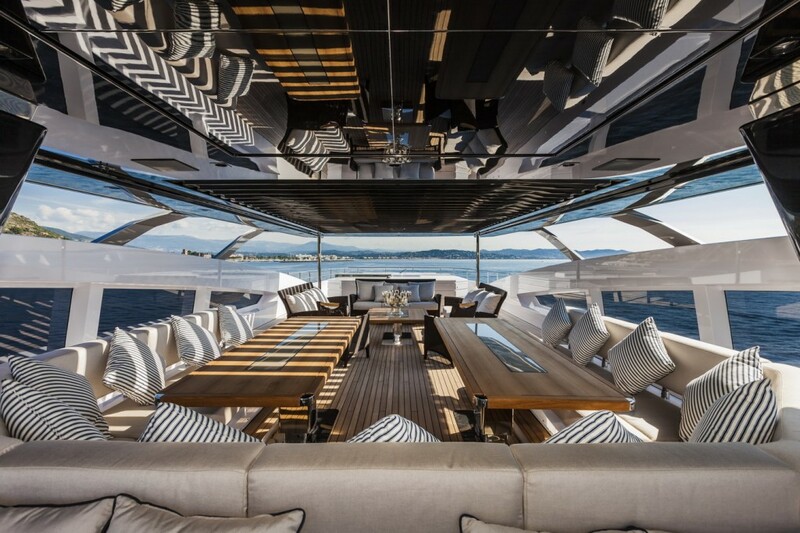 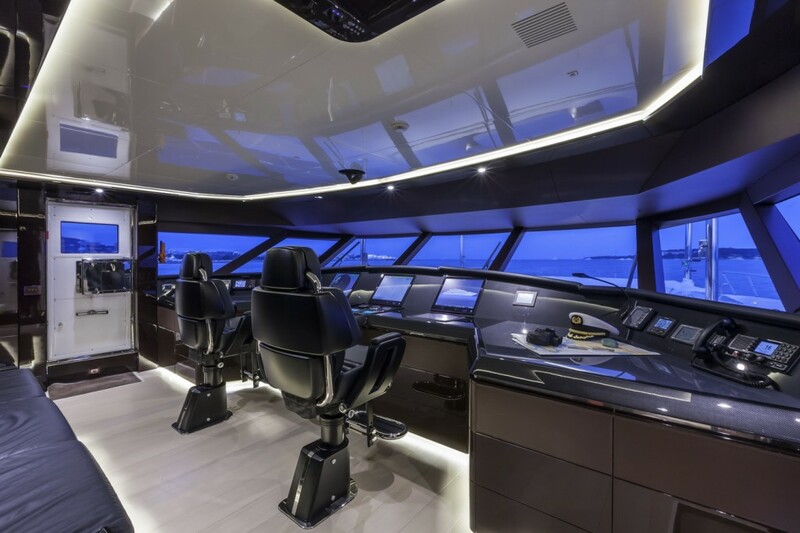 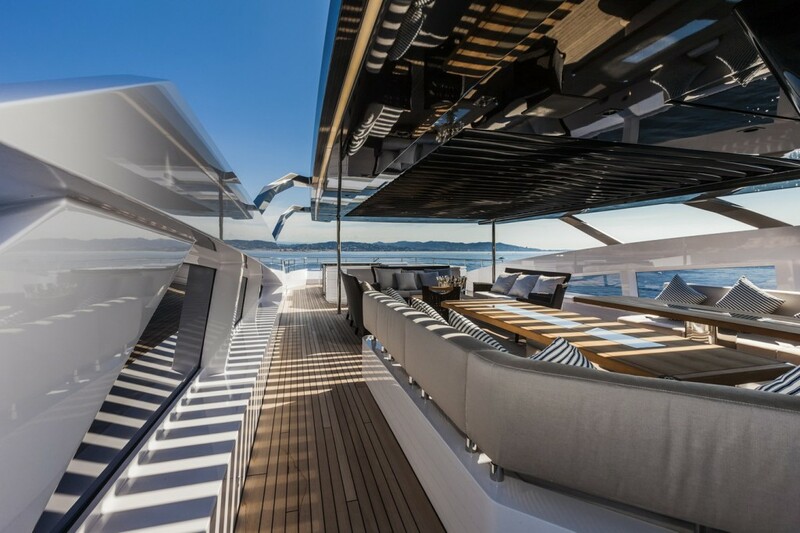 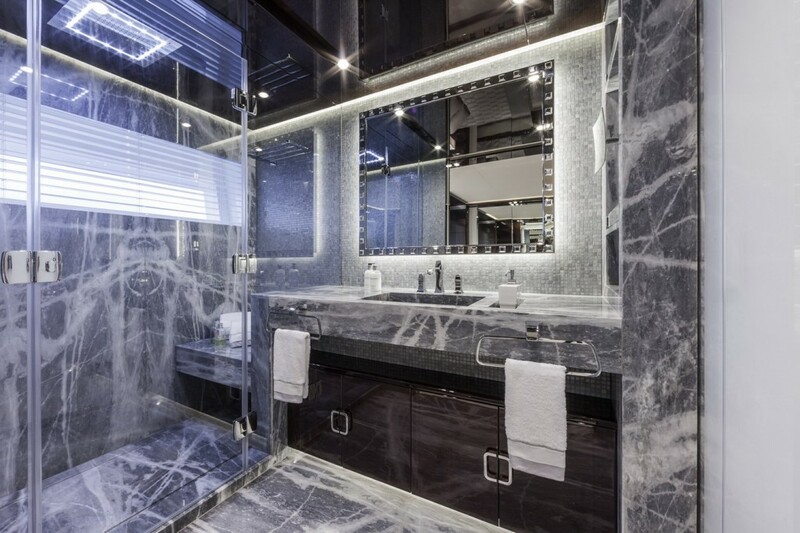 The interiors are stylish and luxurious, the choice of natural elements creates a chiaroscuro effect enhanced by precious marbles that infuse this motor yacht with its own distinct, well-defined personality. 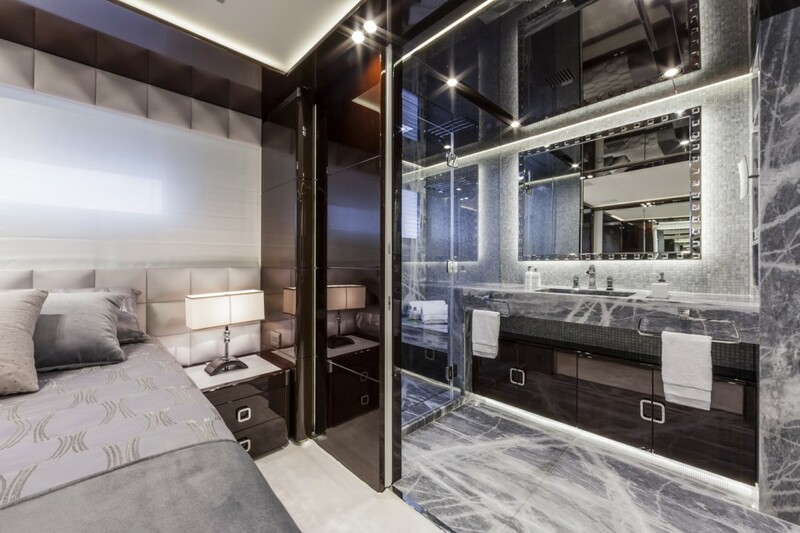 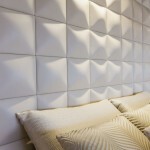 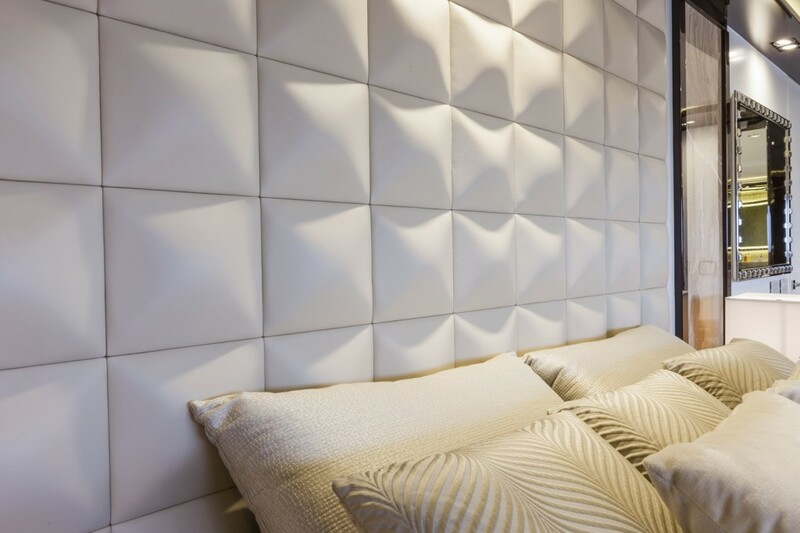 A significant focus was placed on the lighting system to create settings that can enhance the available space to increase the wellbeing of guests. 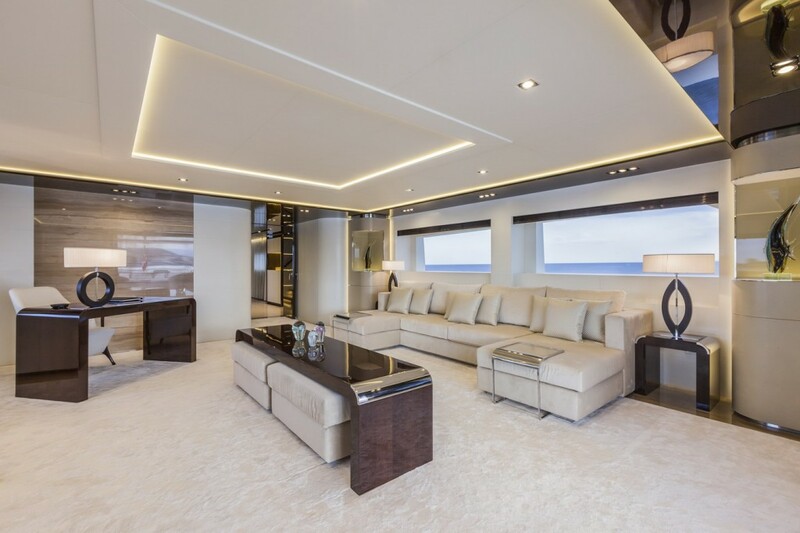 The entertainment system is particularly rich. 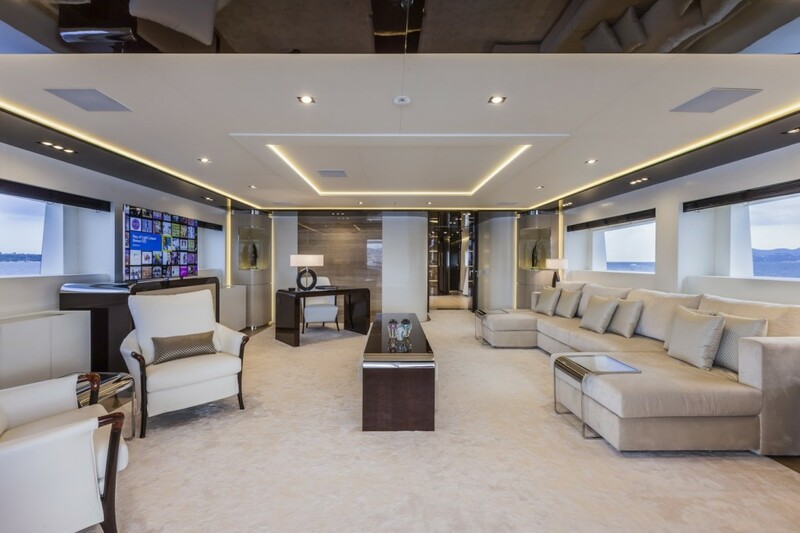 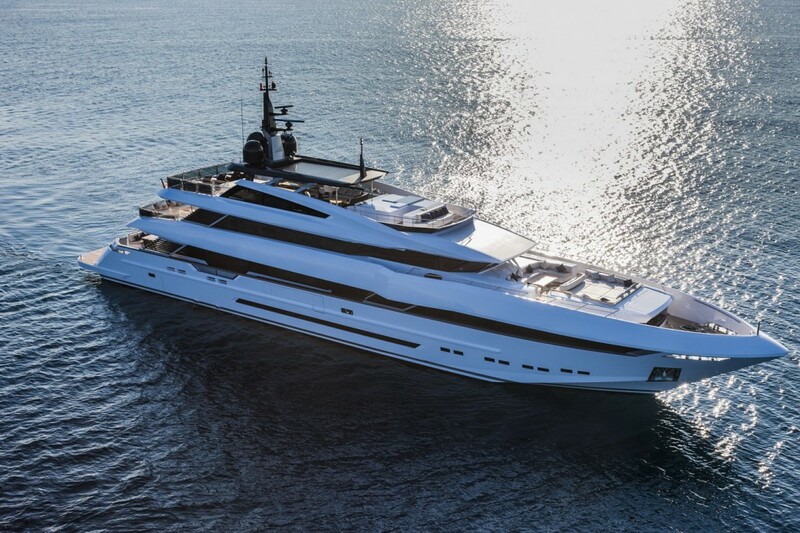 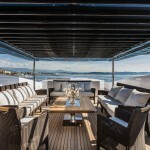 In addition to the popular Kaledeiscape system for controlling TV on-demand, there’s a complex WiFi network that can provide a video conference even in open waters. The complete range of Apple systems include Apple TV, which can play music, videos and podcasts stored in the Itunes library and even to purchase/rent movies or music on the internet, surf the net, watch videos and make every activity extremely simple and dynamic. 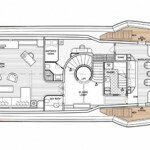 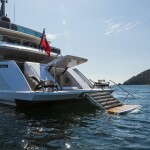 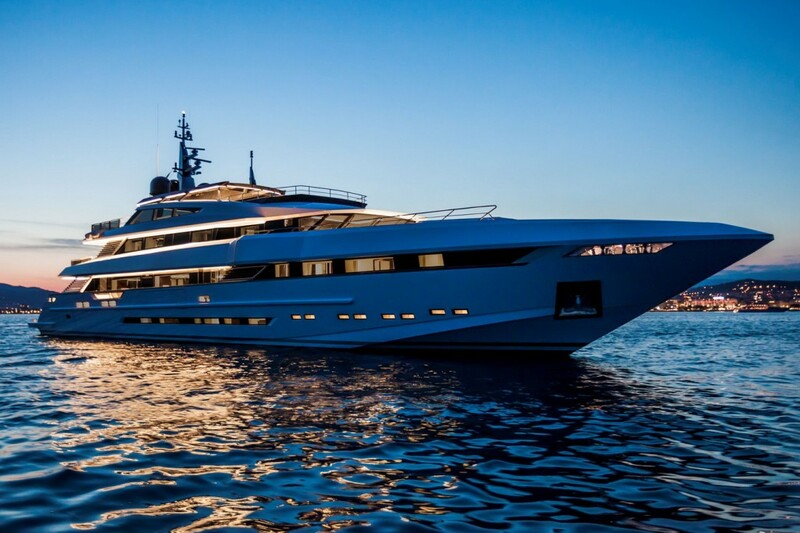 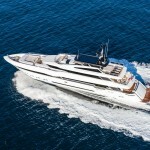 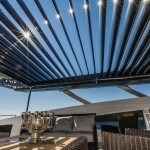 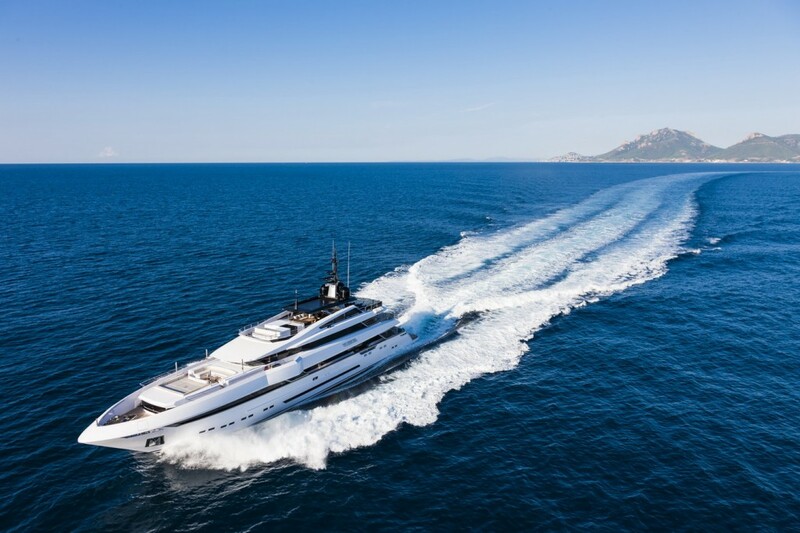 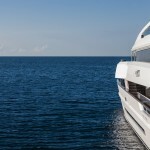 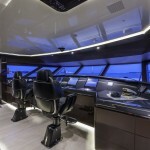 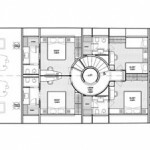 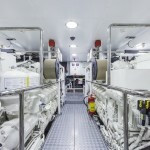 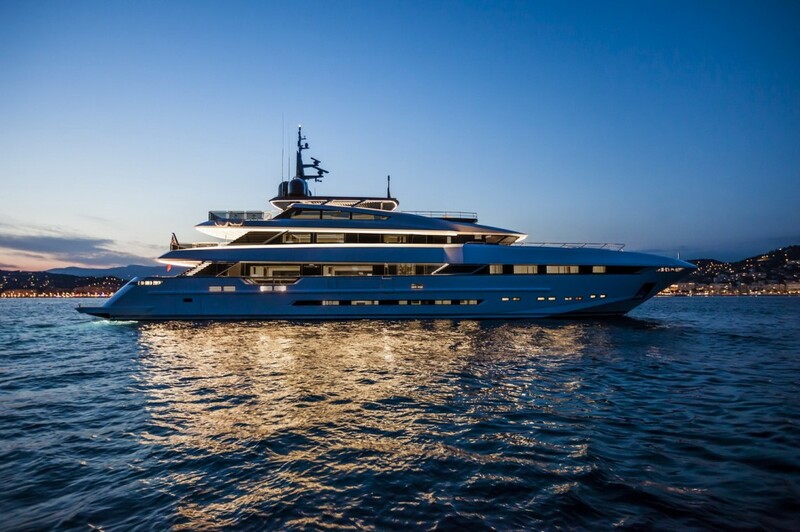 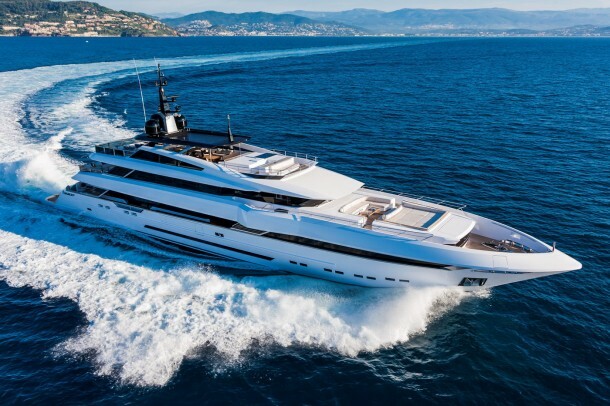 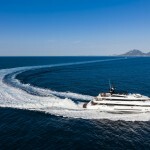 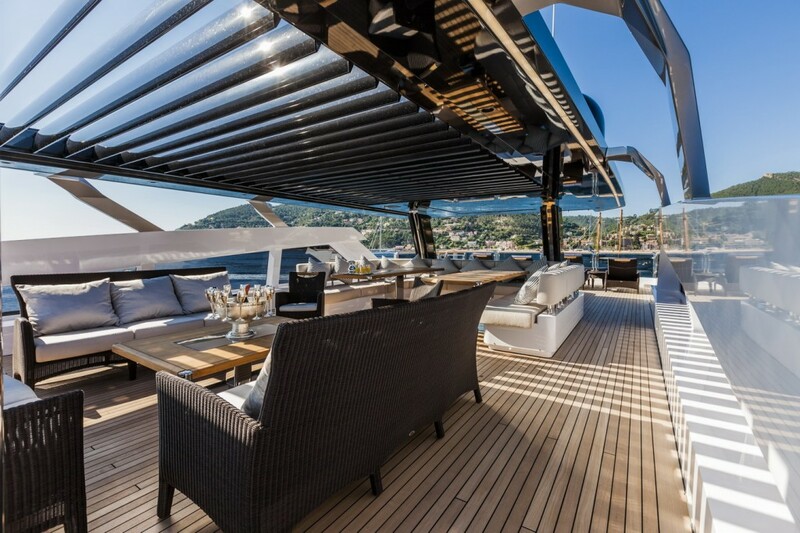 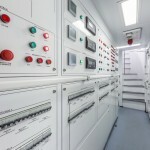 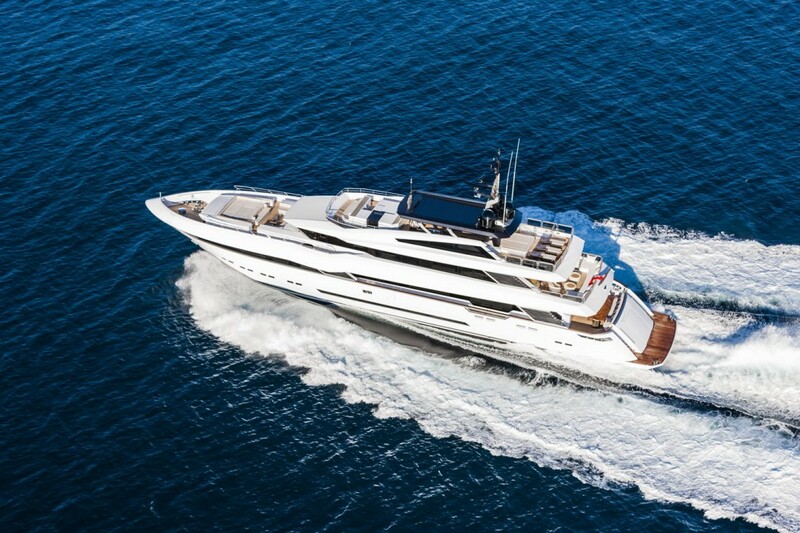 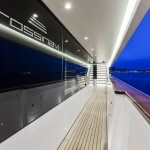 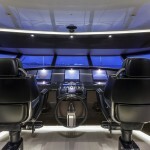 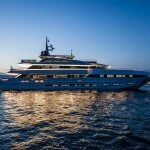 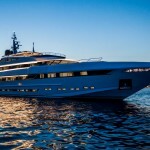 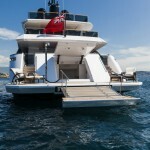 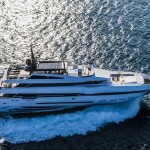 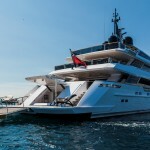 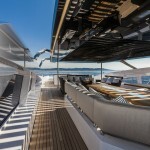 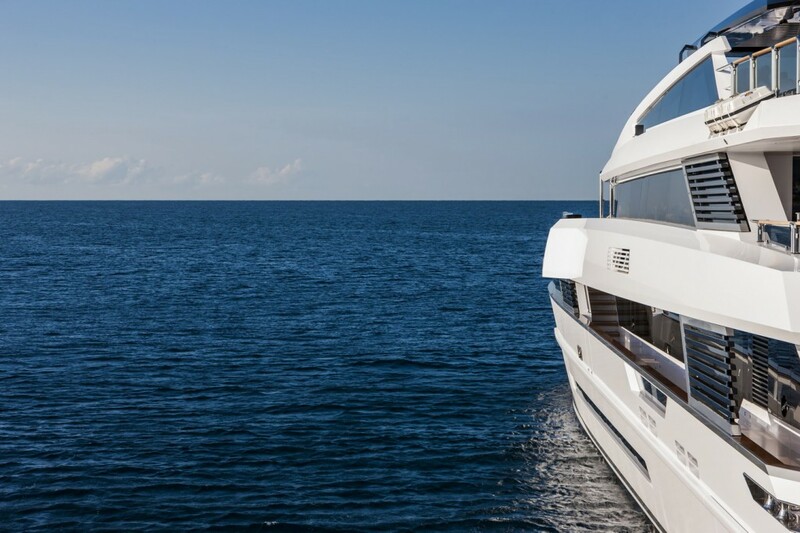 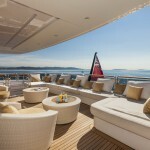 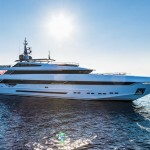 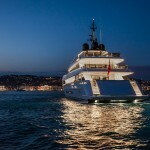 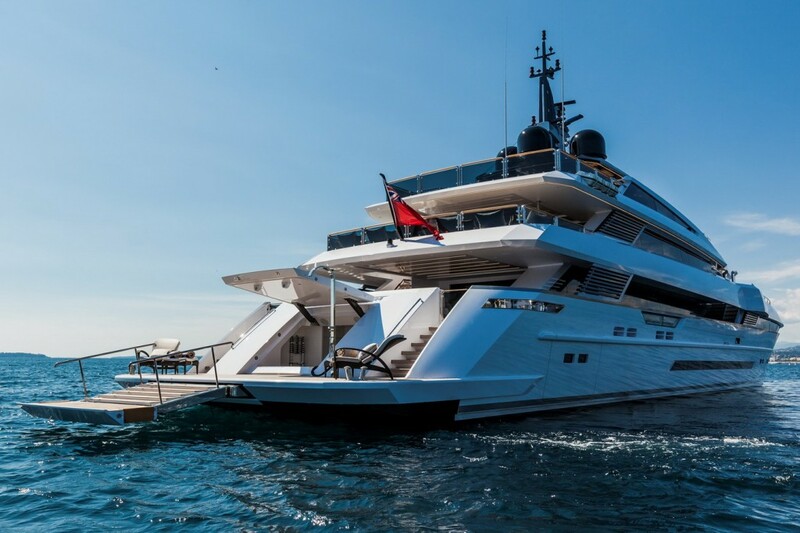 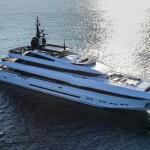 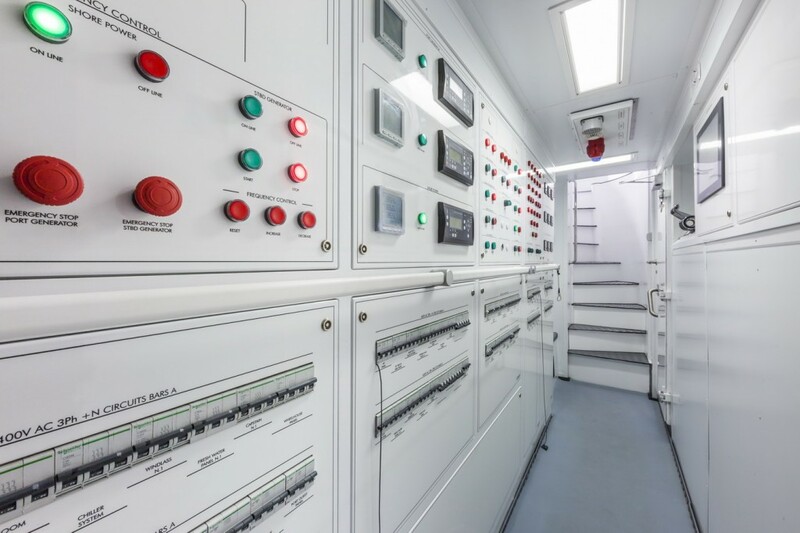 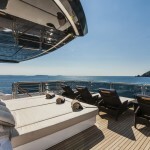 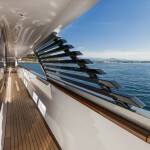 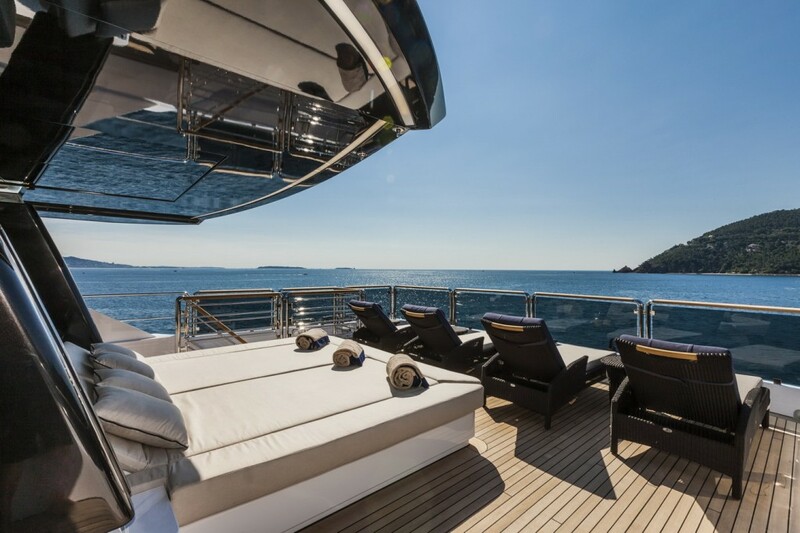 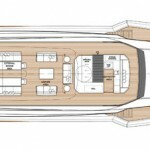 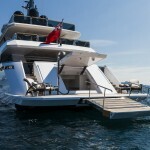 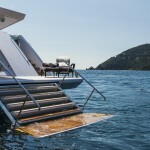 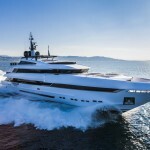 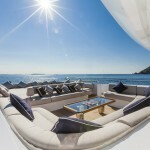 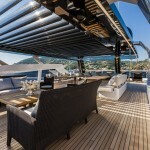 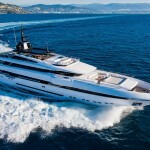 In addition to 11 crew members, the motor yacht sleeps 12 guests.